The next generation of Jaeger pilots square off against an inconceivable threat. 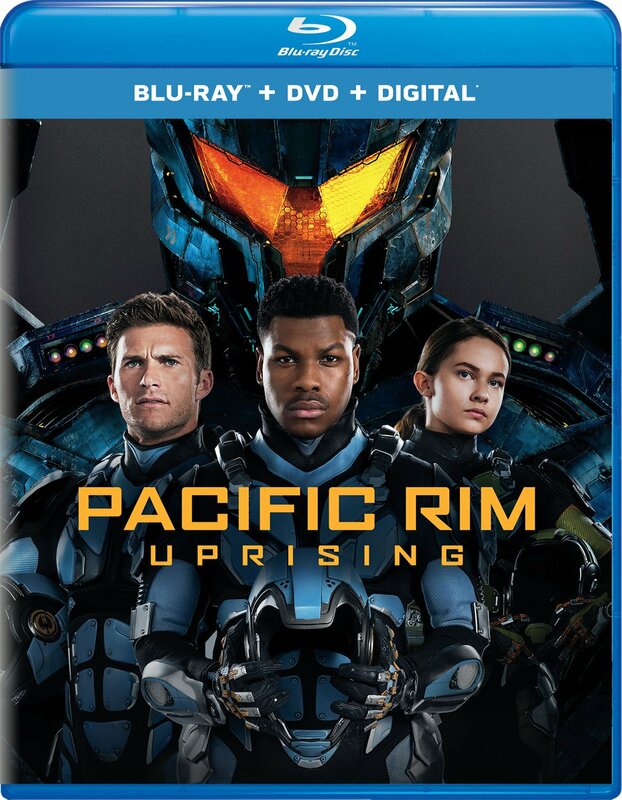 I thought they pretty well buttoned things up at the end of the first Pacific Rim movie so I wasn't motivated to see the sequel. However, when it was a recent in-flight movie, I gave it a shot. After the events of Pacific Rim the world is trying to heal from the wounds of those epic battles. Despite the fact that the rift seems to be closed off from future invasions, the Earth wasn't about to rest when a potential threat could re-emerge. So there continues to be constant training of new Jaeger pilots. We are first introduced to Jake Pentecost (John Boyega), son of the hero Stacker Pentecost who perished while saving the world. That's a tough role to live up to and Joke is a squatter after washing out of Jaeger pilot training. That's when he came across Amara (Cailee Spaeny) who built her own Jaeger and ends up getting them both captured by the authorities. Both are sent into training just in time for things to get interesting. As you can imagine, the bad guys return, but not without help from an unexpected source. The is nearly two hours of wholesome science fiction fun. The plot isn't terribly involved. But I wouldn't say it's not predictable. The effects are excellent. The cast is pretty likable. It was certainly entertaining, just not very mature. It felt like a Disney coming of age film. To me, seeing it for free was the best way to go. I wouldn't have had my socks knocked off if I sat in a theater. Oh, naturally they left a clear opening for a third installment in this franchise. We'll see about that.